Cover with plastic wrap and refrigerate for at least two hours, so the flavors can mix together. Mix before serving. Serve with your favorite scoopable chips. It happens to all of us – sometimes, we’re short on both time and energy. Combine that with the hot summer months and having meals to plan or parties to go to, and the last thing you want to do (or even have a spare minute to do) is make an elaborate meal. 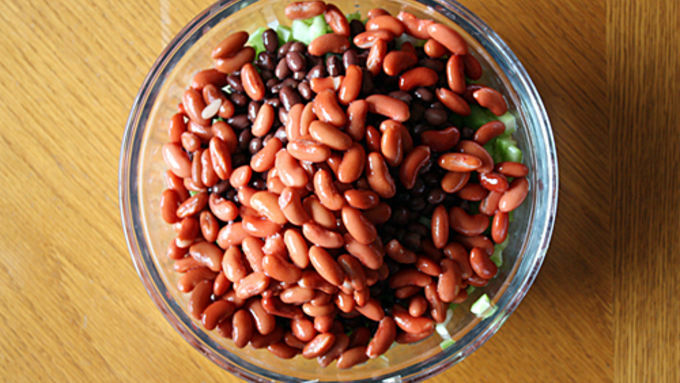 When I’m crunched for time and can’t even consider turning on the oven in the blazing heat, this Bean Vinaigrette Salad does the trick for a quick and simple appetizer or snack. 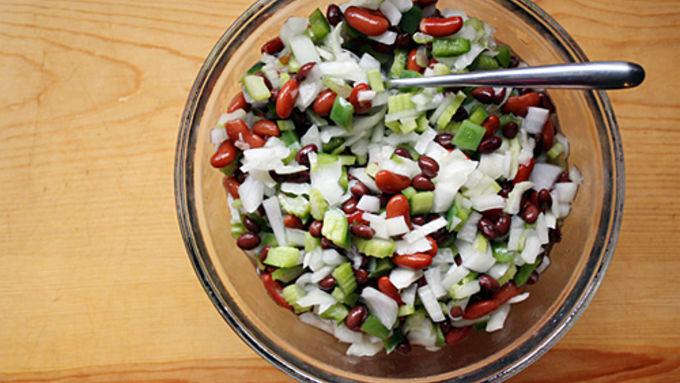 All it takes is a few simple steps and a couple of hours in the refrigerator, and you’ve got a yummy, crunchy, refreshing bean salad to scoop up with your favorite chips or a fork. 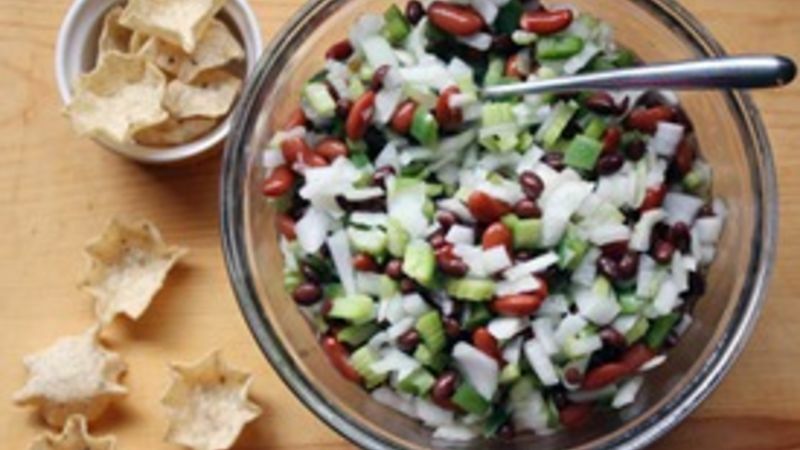 Serve with your favorite chips or divvy up on plates and eat it as a side dish to a simple summer meal. And take the few extra minutes you saved to relax – it is summertime, after all.